A completely new fragrance product with a long-lasting effect and a completely new fragrance line. 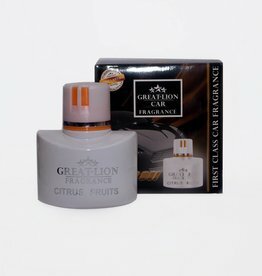 Great Lion Fragrance is available in 5 new fragrances: Green Apple, New Car, Citrus, Lemon and Fresh Ocean. The Extreme Metal Polish is a metal polish that is suitable for the fine work. With this metal polish you will achieve a shine and mirror effect that you have never realized before. 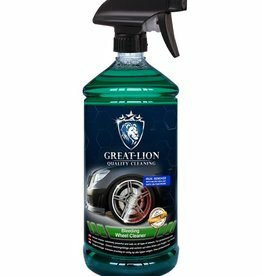 Great-Lion rims cleaner is an extremely concentrated rims cleaner that has been specially developed for very easy cleaning of all types of rims. 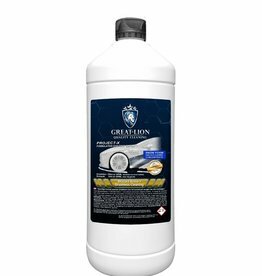 Great-Lion car shampoo is the best choice to clean your car or truck. 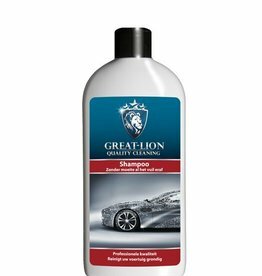 The concentrated shampoo has been specially developed for the very easy cleaning of your vehicle. 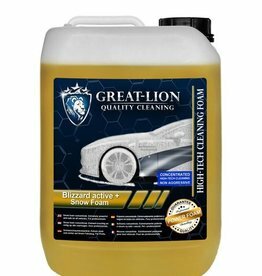 Great Lion Blizzard Active + Snow Foam is a thorough cleaner for all vehicles. 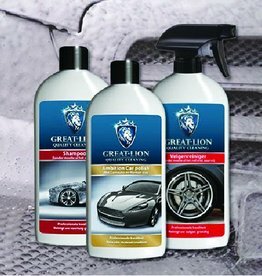 Because of the high tech raw materials in Great Lion Blizzard Active + Snow Foam your vehicle will shine more and it will not be affected. 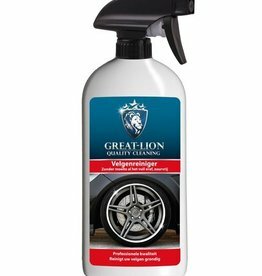 With our Great Lion Car Shampoo, Great Lion Ambition Car Polish and Great Lion Wheel Cleaner you will get your car radiant again! Order quickly and profit from the beautiful weather! Great-Lion dashboard renovator is a concentrated dashboard cleaner. 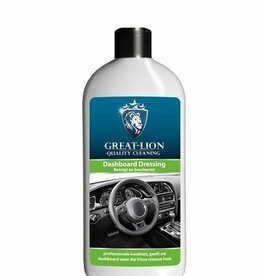 Our dashboard cleaner gives that nice look of your dashboard back as you know it from new cars. 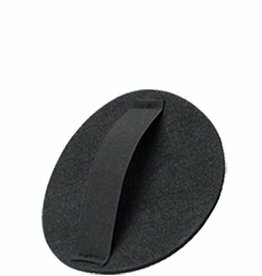 This has been specially developed for the very easy cleaning of all rims. Because this product is very high quality, it not only has a stronger cleaning power, it is also less harmful to people / the environment and your vehicle.